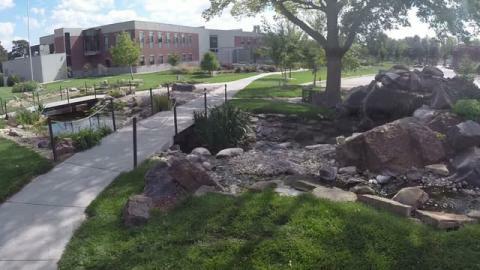 Take a video tour of our fabulous campus! 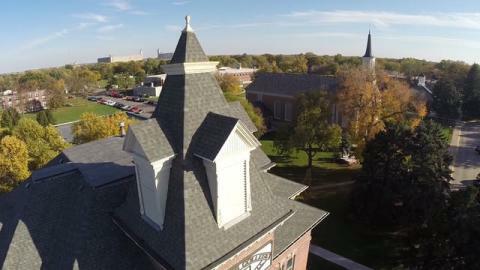 Each video shows a bit of campus and what happens in each space. 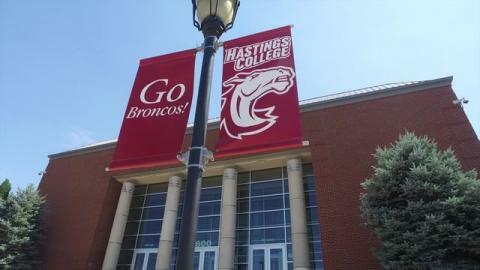 To schedule your personalized tour of campus IRL, go to hastings.edu/visit. 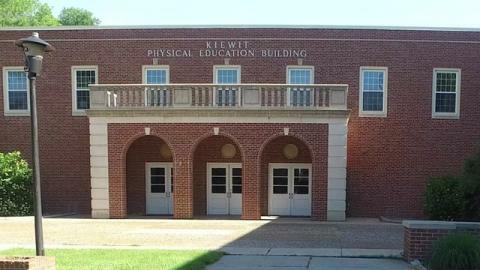 The Kiewit Building is the perfect place for students to exercise their bodies and their communication skills. Home to the Departments of Physical Education and Communication Studies, Kiewit houses a state-of-the-art exercise science lab and classroom spaces for public speaking. The Morrison-Reeves Science Center is the perfect place for a young scientist to earn hands-on experience in their area of interest. From designated lab spaces for biology, chemistry, physics and psychology, to one-on-one mentorships, to high-quality curriculum, Morrison-Reeves can prepare students for any scientific career. 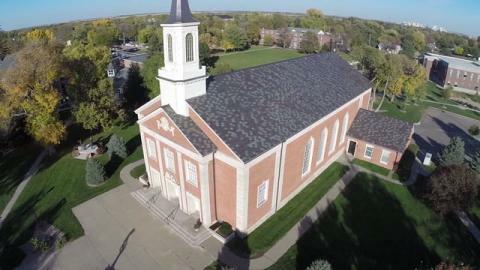 The French Memorial Chapel ties Hastings College back to its Presbyterian roots and values. Additionally, this iconic worship hall hosts weekly chapel service, nationally recognized speakers and the annual Honors Convocation, among many other events. 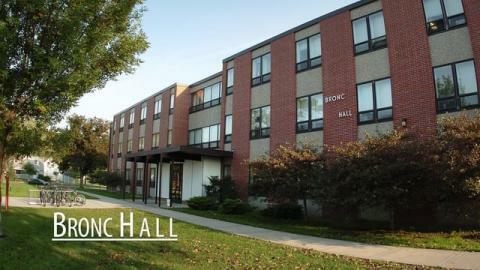 Rooms in Taylor Hall have an historic touch – appropriate for a residence hall built in 1938. There's no standard room in Taylor, as there's single, double and quad rooms of differing shapes and sizes. You'll find hardwood floors and dormers creating fun nooks and angled ceilings on third floor. First and second floor rooms may have built-in dressers, closets and mirrors, while some of the garden view rooms are the largest on campus. Every floor has at least one lounge for you to study and be social, and there's exercise equipment downstairs. McCormick Hall was the first building constructed on Hastings College campus. Today, students visit McCormick to focus on the humanities in courses for history, philosophy and languages and literatures. 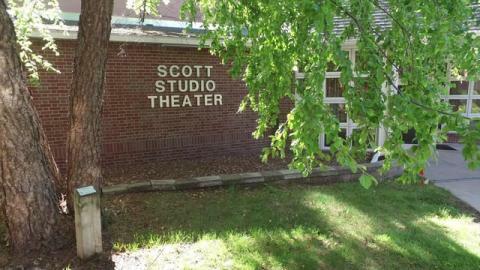 Scott Studio boasts Hastings College's black box theater, a fully customizable performance space for students. From costume design to set construction, the flexibility of the black box theater helps students create a show that's all their own. 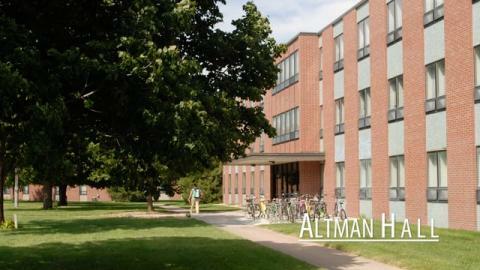 Altman Hall, described by students as the “melting pot” of the campus, includes a kitchen, pool table, and two large lounge areas where students gather and socialize. There's also a sand volleyball court right outside. When you step foot inside this newly renovated, three-story residence hall, you'll instantly become part of the Bronc Hall brotherhood that has a rich tradition. Bronc houses fun, energetic and active men who participate in activities such as sports, music and student government. Challenge your problem solving skills and explore modern technology in the Wilson Center! 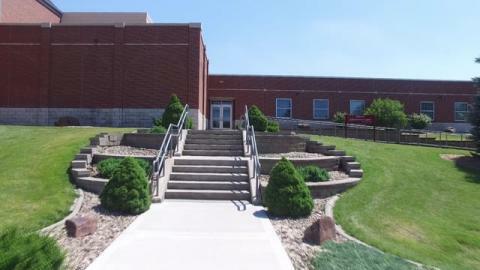 This building features Hastings College's largest lecture hall, as well as the Department of Mathematics and Computer Science. 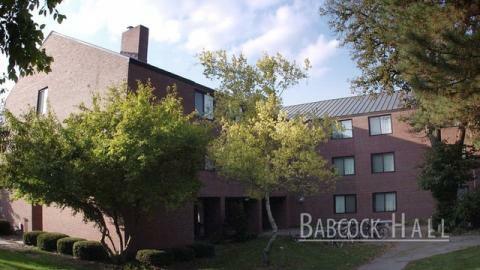 Babcock is a three-story residence hall who's residents are very fun, very lively and very active on campus. Rooms in Babcock tend to be a little larger than other dorm rooms on campus. Residents participate in sports, sororities and many other on-campus activities. 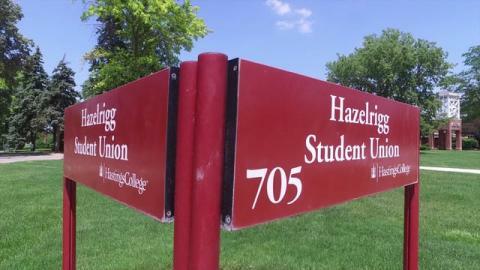 Situated at the heart of campus, the Hazelrigg Student Union is a hot sport for student services. Here you'll find Career Services, the Bronco Bookstore, the Crimson Club restaurant, the student fitness center and much more! Thanks to the generous legacy leadership gift left by the late Jackson Dinsdale, Hastings College students can explore creative expression in the state-of-the-art Jackson Dinsdale Art Center. Complete with private student studios and two full galleries, this building has everything an aspiring artist needs to develop their skills! 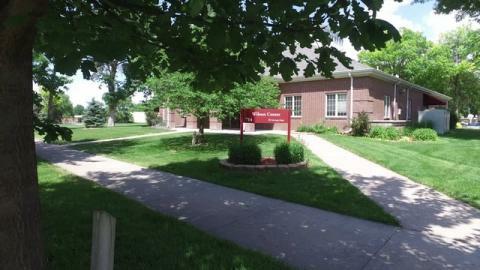 Fuhr Hall is the home of the Hastings College Department of Music. 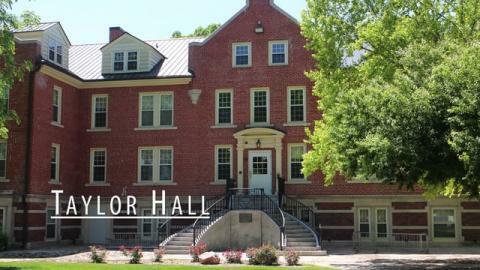 Filled with musical ensembles, private practice rooms and talented professors, Fuhr Hall is the place for melody, rhythm and musical entertainment. 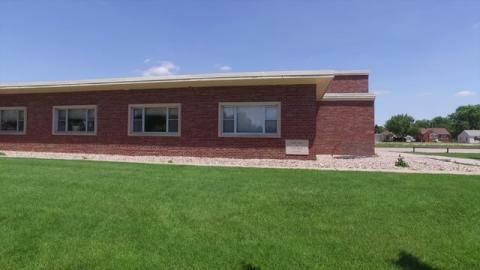 The Fleharty Educational Center houses the offices for the Hastings College Department of Business and Economics. Equipped with modern technology in each classroom and special internship programs like the Hastings College Talent Pool, this building offers ample opportunity for hands-on learning. 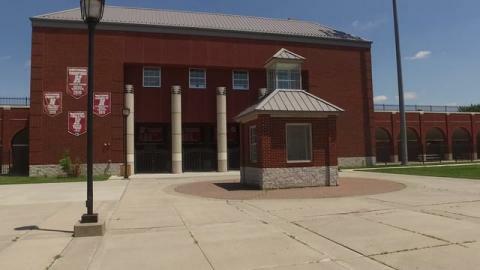 Named in honor of the legendary former men’s basketball coach, Lynn Farrell Arena is the home of the Bronco men’s and women’s basketball and women’s volleyball teams. The top-loading bleachers, full-size court and weight lifting facility are some of the many features of the arena. The Hastings College football, men's and women's soccer teams showcase their athletic prowess during home games at Lloyd Wilson Field. The stadium-style seating allows up to 3,000 Broncos fans to join in on the action!